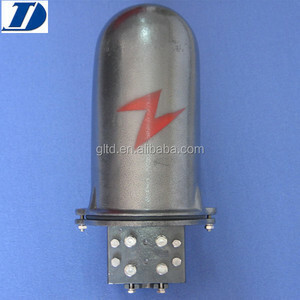 Guilin Tiandi Optical Fiber Communication Co., Ltd.
Hebei Weichuang Electric Power Technology Co., Ltd.
Guilin Shihui Information Industry Co., Ltd. USES: Used for OPGW cable in the box of optical fiber optic cables, and different optical cable, optical fusion within protection carriageway joint action. Characteristics: Especially suitable for packing of the cable connector protection, court succeeded box points metallic cable type and nonmetallic ABS plastic etc) (such as two kinds big. Meanwhile, metallic succeeded box change traditional cable encapsulation, avoid the heating encapsulation make cable outside sheath function and reduces the drawbacks,even damage. Tianjin Tuofa Import And Export Co., Ltd.
48 cores fiber splice box for rod 48 cores fiber splice box Specification (1) fiber optic joint box is designed for splicing ADSS, OPGW cables and the normal cables, including two to four sleeves for input and output. 2. Tower with joint box joint box body comprises 1 sets, 1 sets of tower by fasteners; (residual cable rack 1 sets, two sets of small splint) 3.Rod connector box comprises a joint box body 1, stainless steel belt fastening jig 1 set (more than 1 sets of cable rack, stainless steel belt fastening jig 2 set . 30% by T/T in advance the balance of 70% by L/C at signt Western unit for sample or small order Package and Delivery 1, In accordance with the clamp length customized carton 2, Inner layer with waterproof layer of wooden boxes, we can according to the product customization wooden box. , and the excesss length of fiber optic cable are accommodated in laminated way. Customers from Southeast Asia Our team is receiving customers from Southeast Asia. Q: What's the advantage of your products9 Because I found some cheaper product from others. We will do our best to meet the client's any other terms' requirement. 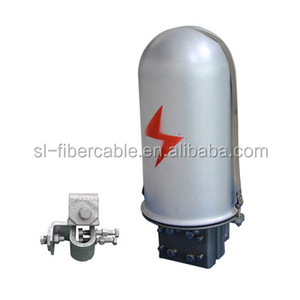 High Quality Cable Joint Box/Terminal Box for Fiber Joint Closure/Splice box 1. 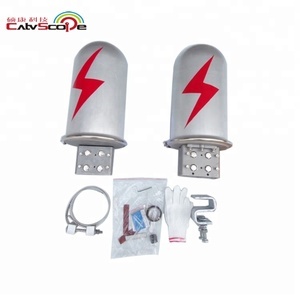 We are specialized in manufacturing overhead power line fittings. 7. Strict quality control and excellent after-sales service. Features : 1. 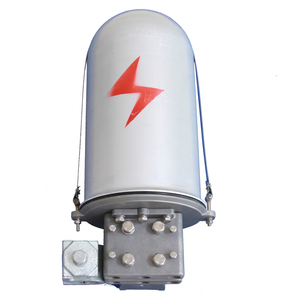 Metal joint box is made up of aluminum alloy and stainless steel materials, especially suitable for the protection of fiber cable joint under the high voltage electric field. 2.Metal joint box bears the excellence of high mechanical strength, good airproof performance, outstanding corrosion resistance and long service life. Product Instruction: Used as direct joint and branch joint in cable project, the bullet type metal joint box is compact structurally, sealing well, easy to install, water tight, moisture proof, applied in various bad weather. Notes: Configure model by cable diameter, core number, port number and pole status. The general delivery time is 5-7 days after order confirmed,it depends on the order quantity. any your customized requirements we can do our best to help you realize. 96 Core 3M Fiber Optic Metal Joint Splice Closure Fiber Optical Metal Joint Closure Box (FOSC) is used for splicing of ADSS and OPGW fiber cable. 1. 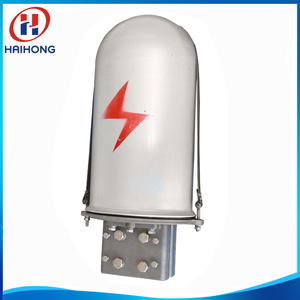 Metal joint box is made up of aluminum alloy, especially suitable for the protection of fiber cable joint under the high voltage electric field. 2. Metal joint box bears the excellence of high mechanical strength, good airproof performance, outstanding corrosion resistance and long service life. Nantong Hongzhi Communication Equipment Co., Ltd. Application Guide about Helical Suspension Set for Cable OPGW ADSS Preformed Repairing Splice : 1. 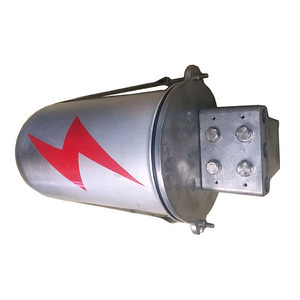 It is designed to connect straight pole and ADSS cables, or elevation angel less than 25 . Installation of Helical Suspension Set for Cable OPGW ADSS Preformed Repairing Splice: Packaging & Shipping 1.For domestic transportation, we use cardbord with nilon bag outside. 1. We can give our customer professional recommedation about the types of tension clamps and suspension clamps, vibration damper, joint boxes and terminal boxes use in you project. Shijiazhuang Huaneng Electric Power Fitting Co., Ltd.
Silver ADSS/OPGW fiber cable joint box overhead fitting The metal joint box are applicable for connection protection of special optical cables,with the functions of direct and branch connection, with the maximum of 6 optical cables, which mainly for overhead rods and towers. capacity of optical cable &le; 144 piece Anti side pressure &ge; 2000N Weight 6.2kg The metal joint box are mainly for overhead rods and towers. Our main product including ADSS OPGW accessories(Performed Tension Clamp, Preformed Suspension Clamp,Vibration Damper, Cable Joint Box, Down Lead Clamp) and so on. We will do our best to meet the client's any other terms' requirement. Fiber Splice Closure Cable Joint Box/ Terminal Box for Transmission Fitting High Quality Famous-brand WeiChaung Product 1. 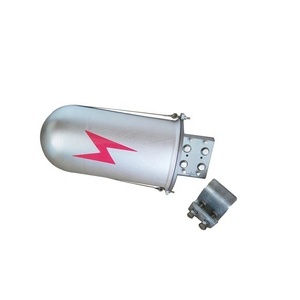 We are specialized in manufacturing overhead power line fittings. Fiber Splice Closure Cable Joint Box/ Terminal Box for Transmission Fitting High Quality Famous-brand WeiChaung Product Hebei Weichuang Electric Power Technology Co., Ltd.
Alibaba.com offers 104 opgw adss aluminum splice box products. About 69% of these are fiber optic equipment. A wide variety of opgw adss aluminum splice box options are available to you, such as free samples. 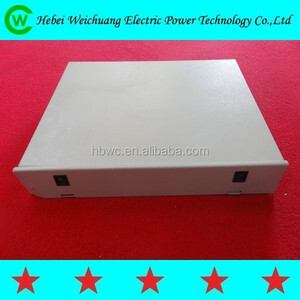 There are 104 opgw adss aluminum splice box suppliers, mainly located in Asia. The top supplying country is China (Mainland), which supply 100% of opgw adss aluminum splice box respectively. Opgw adss aluminum splice box products are most popular in South America, North America, and Eastern Asia. You can ensure product safety by selecting from certified suppliers, including 104 with OHSAS18001, 104 with ISO9001, and 104 with ISO14001 certification.